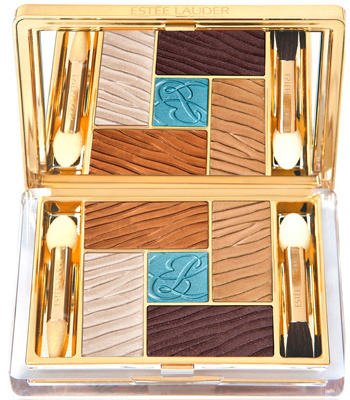 After the great launch of Estee Lauder Mad Men collection 2012, Estee Lauder has launched their summer products included Estee Lauder Bronze Goddess Capri Collection.This is one of the most beautiful complete makeup kit which is especially launched for the hot atmosphere of summer.Have a look at below the look and features of this collection.. It has a shimmering sands formula that will give you a glowing look.Its tri-blend liquid, powder and gel formula gives you a fine and sophisticated look.It has a perfect mixture of pigment and pearls. By the use of this super-luxurious liquid bronzer, you will get a beautiful glowing face.It is perfect for all type of skin tones.It has a long-wearing and oil-free formula that feels weightless and comfortable natural-looking radiance. It has a super-metallic shades to highlight you eyes and of course give you a dramatic eyes also.You can use it wet and dry both style. The shades of this kajal are white and charcoal brown. It comes in a beautiful shade of gold pearl. Shade available in burgundy red. 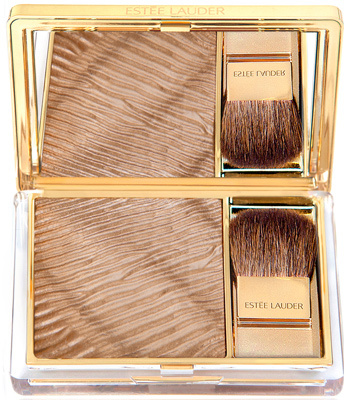 It is a good smelling of sunlit fragrance by Estee Lauder. Have A Look At The Pictures Of This Collection 2012. 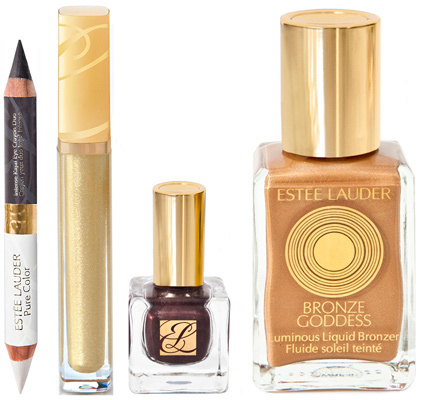 Â Kajal, Lip GLoss, Nail Lacquer, Liquid Bronzer.